Diseñado en Puerto Rico's event Hoy Se Pinta! Our new friends Diseñado en Puerto Rico are launching their latest project: Hoy Se Pinta. The project reaches out to local businesses to support the local art scene by hosting this one day event where local artists will be the protagonists. "A day were the rollers, the brushes, and the colour palettes will be the predominant tools." The first edition of Hoy Se Pinta will be at El Ocho de Blanco Sports Restaurant in Río Piedras this wednesday, September 4th. It will feature artists Leila Mattina and Vincent Díaz Negrón. This event will also feature music by compositor Iván "Banjo" Fontanez. Diseñado en Puerto Rico is an initiative by Gutigon Corp. and Lab787. Its mission is to promote a culture of ambition and innovation in Puerto Rico by strengthening and defending the ideas and vision of the members of the emerging creative class. This team aims to create an ecosystem that is prone to more demanding consumers and industries, and facilitate the formation of providers worthy of them. September 2, 2013 by Mariana Ortiz-Reyes. 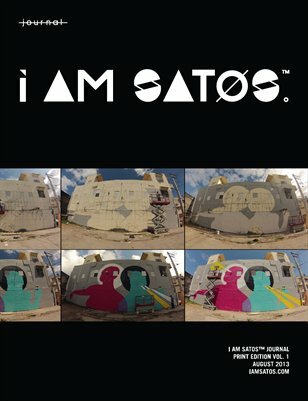 Tagged with MAGCLOUD, JOURNAL, PRINT, PUERTORICO, ART. September 1, 2013 by Mariana Ortiz-Reyes.